As we mentioned in our Advertising & Digital Radio post, eMarketer.com projects nearly 50% of advertising dollars will be spent on digital advertising by 2021. But, even more impressive is the projection shared by Radio Ink stating mobile will make up 43% of all ad spending by 2020, and that amount is projected to double the amount of money spent on Television advertising which translates to $141.36 billion in 2022. 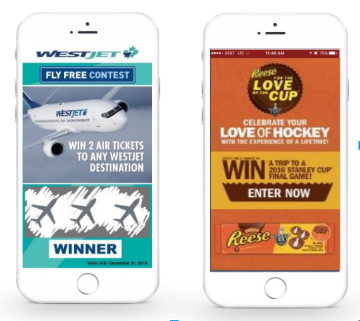 With this information, it is no surprise that in-app mobile advertising has gained such popularity in recent years. Among the most used are in-app methods that utilize video and traditional mobile displays, that have proven to boost user engagement and retention, as well as increase advertising spending on your app. How does this connect to RadioMax? RadioMax strives to give users the best experience within the mobile app, and clients the best mobile app to market to potential and current advertisers. SmartAd Technology amplifies standard on-air radio advertising by instantly delivering to the listener entertaining mobile experiences for meaningful brand engagements synchronized with the on-air messaging. SmartAd Technology can help to increase your ad revenue by unlocking a new contextual ad inventory that displays automatically on smartphones. This allows for more accurate audience data, memorable activations & unique campaign executions that take radio advertising to a powerful new level. These ads can provide extended content experiences and have data measurement ability.